What does Faaiz mean, details, origin, short & easy attributes? Faaiz pronunciation in 20 different native languages. The meaning of the name â€œFaaizâ€ is: â€œSuccessfulâ€. Categories: Arabic Names, Persian Names. Faaiz is baby boy name mainly popular in Muslim religion and its main origin is Arabic. Faaiz name meanings is Victorious, triumphant,Prosperous, successful. People search this name as Faaiz, Faaizah, Faaiz ul hassan, Faaiza, Faaiz anwar, Akeel faaiz, Akheel faaiz. Faaiz is written in Urdu, Hindi, Arabic, Bangla as فائز, फ़ैज़, فائز,فاﺋز,فايز, ফায়জ. Other similar sounding names can be Faadhil, Faadl, Faaeq, Faaiq, Faakhir, Faakhiree, Faakih, Faaris, Faarooq, Faateh, Faatih, Faatir, Faaz, Faazil, Faadilah, Faaiza, Faaizah, Faakhira, Faakihah, Faakirah. Each letter meanings in Faaiz Name. Popular personalities with Faaiz Name. Faaiz Anwar is a lyricist and poet. 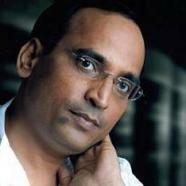 Faaiz was born on March 9th, 1965 in Kanpur.